The Special Concert Performed by the Archadian chorale under the musical and artistic Direction of Maestra Marina Alexander along with the actual program from the evening’s Salute to the Great Martyr Demetrios. Also we have for further inspiration the moving Hierarchical Divine liturgy celebrated by His Eminence Metropolitan Evangelos, Metropolitan of the Metropolis of New Jersey along with the Eastern Federation of Greek Orthodox Church musicians from the Metropolis of New jersey under the Direction of guest conductor Nicholas Kyrus and the program to that service. His Eminence Metropolitan Evangelos opened the celebration event with a prayer of God’s blessings to all upon this wonderful milestone of our 100th Anniversary. Guests were welcomed by Rev. Dr. George Parsenios who expressed much hope for the future with our prayerfulness for grace and mercy. It was wonderful to have the presence of His Eminence Metropolitan Evangelos, Father George Parsenios & Pres. Marina Corodemus, Father Iakovos, and Marina Alexander, Musical and Artistic Director of the Arcadian Chorale seated at our head table as our distinguished guests. This auspicious day had finally arrived and we were prepared to rejoice, reminisce and remember our rich, deep-rooted history as we looked forward to our future. This day evoked many emotions as we commemorated our forefathers, the first Greek immigrants, our ancestors, who chose Perth Amboy as their hometown. For many of us who are third generation parishioners, they were our grandmothers and grandfathers, our Yiayias and Pappous who formed a congregation in 1917, built their very first Church on the corner of High St. and Center St. in 1923 and about 30 years later, built our beautiful Church here where we worship today. They left us with a strong legacy of our Greek Orthodox faith, culture and traditions which we hope to have fulfilled in a way to make them proud. Their legacy is so very precious to us and we plan to keep their dreams alive so that at the 200th Anniversary, it can be said that we did well. Their presence has certainly been felt over these past few months and was, certainly, felt on our Anniversary Day. Additonally, His Eminence was thanked for bringing us our beloved priest, Rev. Dr. George Parsenios, Presbytera Maureen and their lovely children Nicholas, Julia & Constantine. We will be forever grateful; they were truly God-sent. It was our honor to have the family of our late priest, Rev. John Liadis, with us. We were very pleased to have Mrs. Poppy Liadis join us. We all remember Father Liadis very fondly. Several other guests were recognized and acknowledged who were instrumental in making this celebration possible. As our Keynote Speaker, His Eminence Metropolitan Evangelos, addressed the audience with gracious words of congratulations and prayers for a blessed future for our St. Demetrios Church Community. Our Parish Council President, Hon. Marina Corodemus spoke eloquently in relation to the State of our Church acknowledging special guests, our Parish Council, Church staff and volunteers for their tireless work. She highlighted the significant progress that has been made in preparation for our future hopes and dreams. Everyone was thanked for joining us on this momentous occasion in the history of our Church. 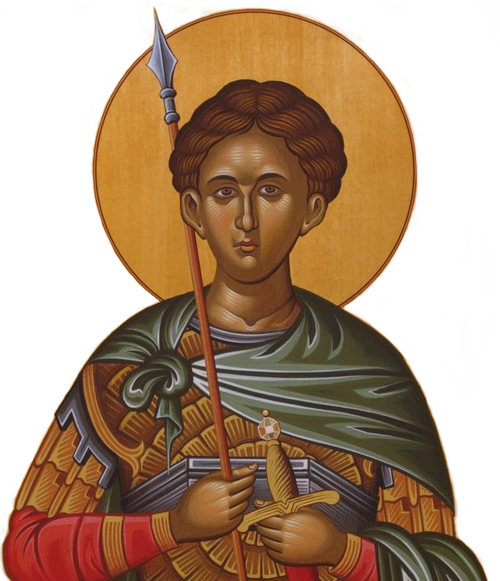 Our prayers and those of our ancestors will forever echo in the walls of our blessed Church, Holy One, Great Martyr Demetrios, invoke Christ our God for us, that He may grant us His Great Mercy. This entry was posted in 100th Anniversary, multimedia, News, video on November 2, 2017 by stdemetriosadmin.